This is the sixth year that I’ve run the used book table at our church fair. 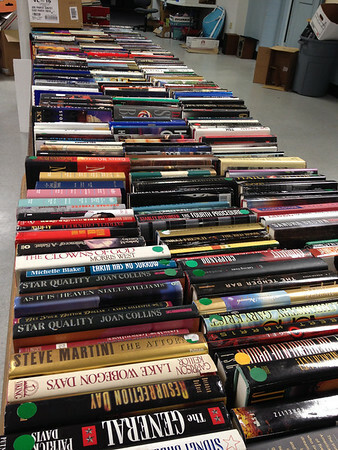 It is one week of intensive book sorting and setting, followed by five and a half hours of selling them. I love it! If you’re local, come on down tomorrow for the Dane Street Church Holiday Fair– 10 Dane Street in Beverly. This entry was posted in 365 on November 22, 2013 by Rebecca.